Bowl, Northern Celadon Ware, Yaozhou type, 11th Century, China, Northern Song dynasty © 2013 Cleveland Museum of Art. Bowl, Northern Celadon Ware, Yaozhou type, 11th Century, China, Northern Song dynasty (960-1127), glazed stoneware, Diameter - w:13.40 cm (w:5 1/4 inches) Overall - h:8.00 cm (h:3 1/8 inches). Charles W. Harkness Endowment Fund 1930.308, Cleveland Museum of Art © 2013 Cleveland Museum of Art. 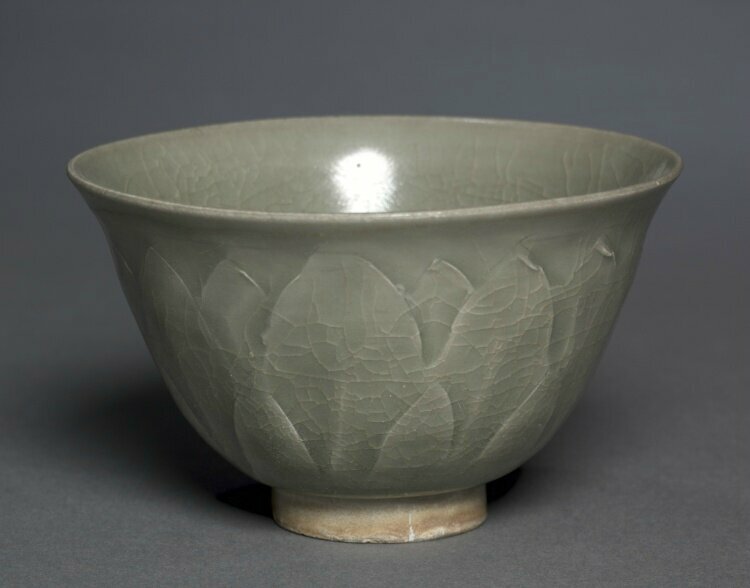 Commentaires sur Bowl, Northern Celadon Ware, Yaozhou type, 11th Century, China, Northern Song dynasty © 2013 Cleveland Museum of Art.